Robert W. Durrant, age 94 “jumped the ditch” and rejoined his beloved wife, Mary Dean Stringham Durrant, on Friday, September 21, 2018. He was born on June 2, 1924, in Rexburg, Idaho to Walter H. and Ella Rigby Durrant. He had twin sisters, Eva and Ella, a half-sister, Grace, and 3 half-brothers, Rendell, Tom and George Durrant. 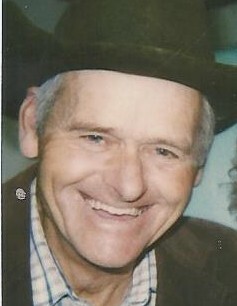 In 1926, he moved with his family to Vernon, Utah to take over the 270 acre homesteaded farm after his grandfather died. He attended school in Vernon and Tooele but was unable to finish school, serve a full time mission for his church, or to be drafted, because his father had cancer and his brothers all went to war; so he stayed in Vernon to support his ailing parents and care for the farm. Robert did help with the war effort by working in the munition factory in Tooele. He met Mary Dean Stringham as he attended BYU as a non-matriculated student and they were married on January 18, 1952. Robert and Mary raised six children on their farm in Vernon. Dean (Juleen) Orem, Roger (Marjorie), Tooele, Ann (Clyde Mason) Washington, UT, Laura McComack (Duane Griffin) Sherman, TX, Robyn (Sam Liddiard), American Fork, & William (Lisa) Vernon. Their posterity includes 35 Grandchildren, 58 Great Grandchildren, and 12 Great, Great, Grandchildren. Robert worked for several years for the Union Pacific Railroad, and more than 15 years at Dugway Proving Grounds. He first worked in the animal barns caring for the animals, later as a boiler mechanic, and in the Self Service Supply Center, at Dugway. Robert was a very active member of the Church of Jesus Christ of Latter-Day Saints all of his life. He was Baptized September 11, 1932, ordained a deacon Aug 1, 1936, Teacher Sep 3, 1939, Priest Aug 10, 1941, Elder July 18, 1943, Seventy on 30 March 1947 by S. Dilworth Young, and High Priest on January 13, 1963. He served as a Stake Missionary for the Church and was honorably released on August 1st 1947. He served many years as the Ward Clerk in the Vernon Ward, and had many other callings. He served a Mission for the church with Mary from January 1992 until February 1993 in the California Oakland Mission. The couple also served in the baptistry in the Jordan River Temple for 13 years from March 1993 until June 2006. His wife Mary returned home on April 5, 2016. Roberts true passion in life was farming. He loved caring for the land raising crops, irrigating with the Harker water, riding horses to round up his cattle on the forest, and mostly teaching his children the value of hard work. He loved hunting and camping and being together with family and friends. Robert has a beautiful tenor singing voice and often sang with his Sister Eva Yates for Church meetings funeral services and civic events. 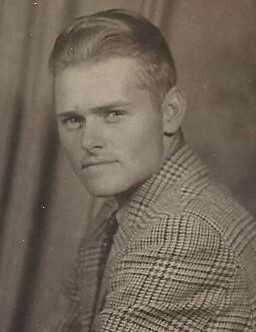 He is the last surviving member of his immediate family and is survived only by his wife’s siblings: Brother, William C. Stringham, (Marjorie) Woodland Hills, sisters LaRue Larsen, Richfield, Norma Christensen (Clark) Elsinore, & Sister-in-law Alice Pritchett (Orem) Funeral Services will be held on Saturday, September 29, 2018, 11:00 AM in the Vernon Ward chapel, Vernon, UT. Friends may call to greet the family on Friday Evening, September 28, 6:00 until 8:00 pm, or Saturday, 9:30 – 10:30 am. Leave condolences online at didericksenmemorial.com.